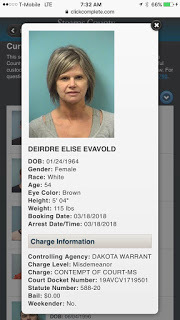 Dede Evavold is in jail, held without bond: her crime, not removing blogs fast enough for a court. This blatant violation of Evavold’s first amendment rights appears to be just fine with all involved: the sheriff, the judge and the media which have been covering the Rucki story. The whole bizarre scenario started with David Rucki’s attorney, Lisa Elliott, filed an emergency motion on February 12, 2018. “Ordering Respondent to immediately remove the entire post titled ‘Beaten Before Born: Sandra Grazzini-Rucki Assaulted While Pregnant – Rucki Wanted to Kill Baby Because ‘Wasn’t Perfect.’, dated December 18, 2017, from the Red Herring Alert Blog and /or any subsequent revisions to the post along with any reposts and/or posts to Facebook and Twitter, which is a direct violation of Minnesota Statue § 609.748, Sub.1a;” The motion stated. 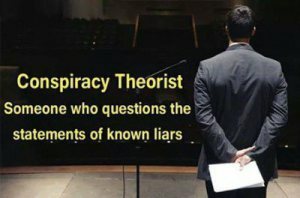 Remarkably, the original blog in question was re-printed from another blog; the story originated on Justice for Grazzini-Rucki children, where it remains today. The motion was still quickly granted and Evavold was ordered to remove the blog post immediately. The motion was granted even though Rucki has had glowing coverage from local media and national media like 20/20 and it’s not clear how a blog would “harass” him as he alleged.